Motorola has finally come to the market with its Smartphone Moto X after being attained by Google. It is tough to believe that Moto X is Motorola’s first launched Smartphone since starting from its look to features everything is just so perfect. If we talk about the outlook of the phone, it carries an absolute American look with fully customized features. These two are the core reason for which it is hard to overlook this latest launch of Motorola even in the time when the market is quite overshadowed by leading companies like Samsung, LG, HTC, Apple etc. The greatest twist that Motorola has put in this Smartphone is that it has embedded Moto X with the customizing facility that has made it one of a kind and even being an Android Smartphone it gives neck-to-neck competition to the Samsung’s Galaxy series or Apple iPhone. Let us get a look at the specifications at the specifications of Moto X. Display: Moto X features RGB AMLOED broad 4.7-inch display. It offers 1280*720 pixel resolution that makes the sharper and brighter. 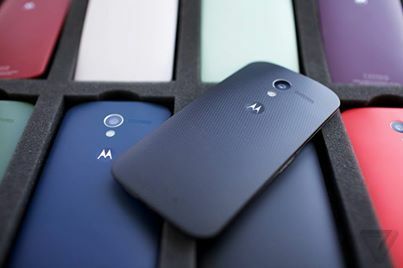 Storage capacity: Motorola has featured Moto X with 16 GB internal memory along with 2 GB RAM. At the same time, it also offers 32 GB expandable memory support. Camera: You get a 10 MP rear camera and 2MP front with razor sharp video recording quality. Connectivity: It features Bluetooth facility carrying along Wi-Fi, NFC, USB facilities. Battery: Moto X features a 2200mah battery backup that offers 245 hour backup for mixed usage and 13 hours of talk time. All in all, this very phone is featured with all the best possible charging $199, which is truly worth.